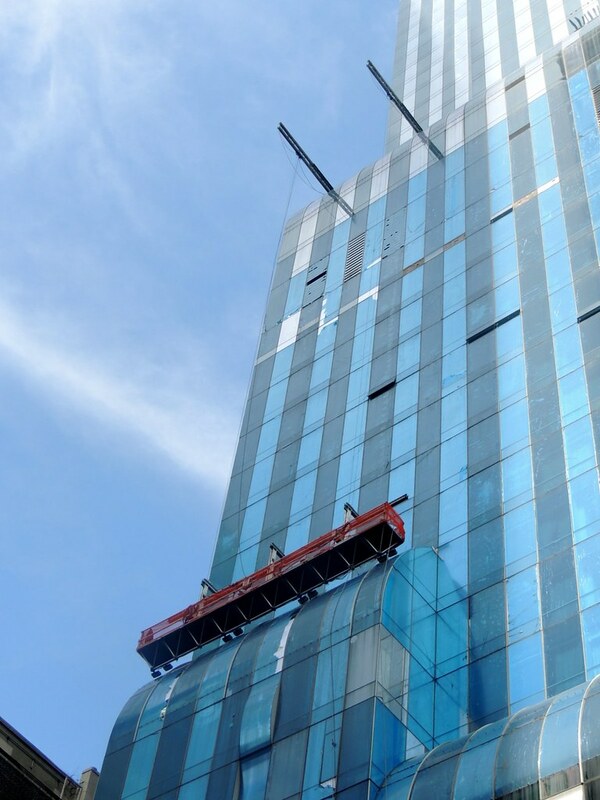 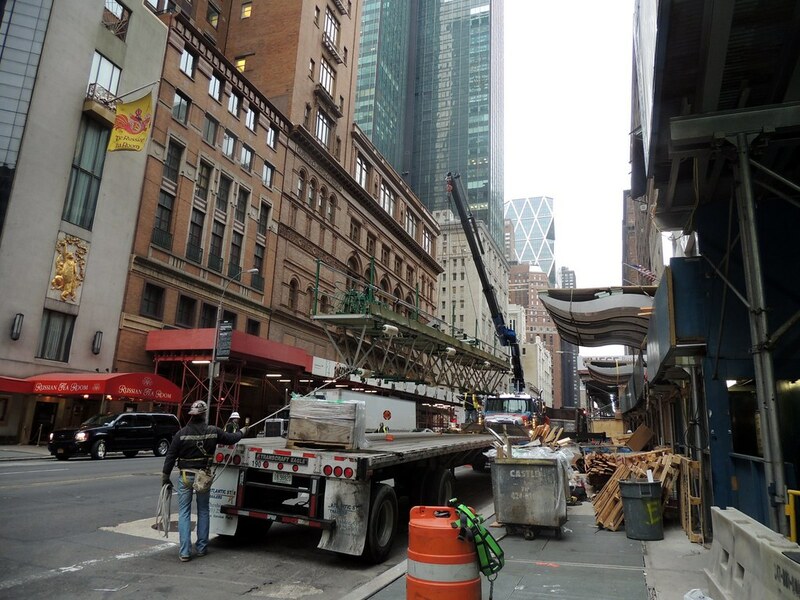 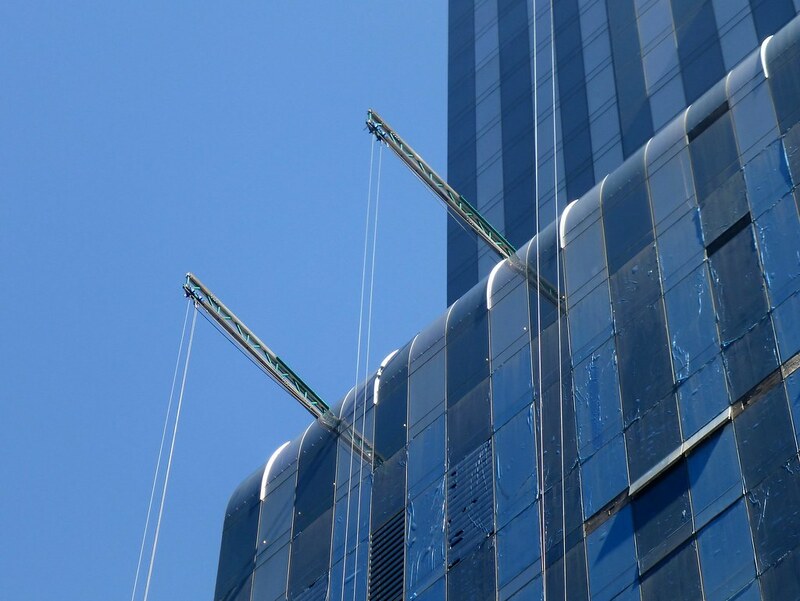 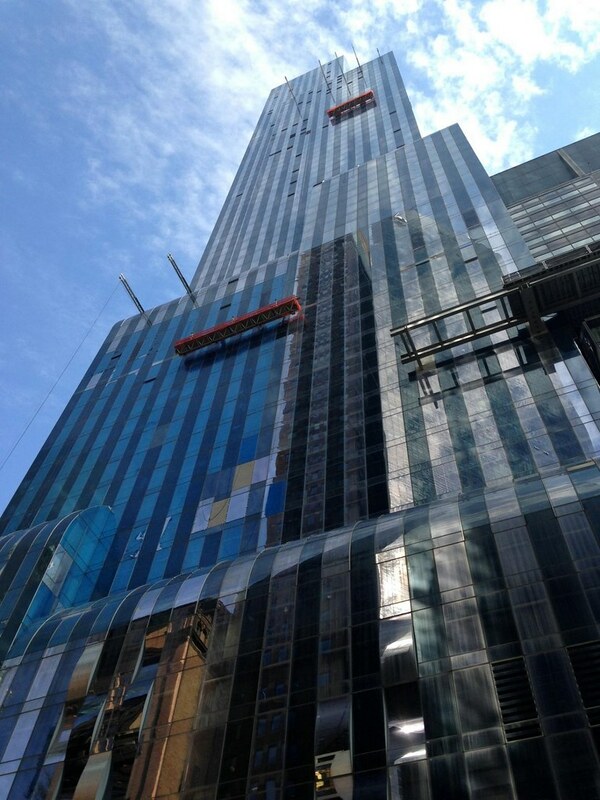 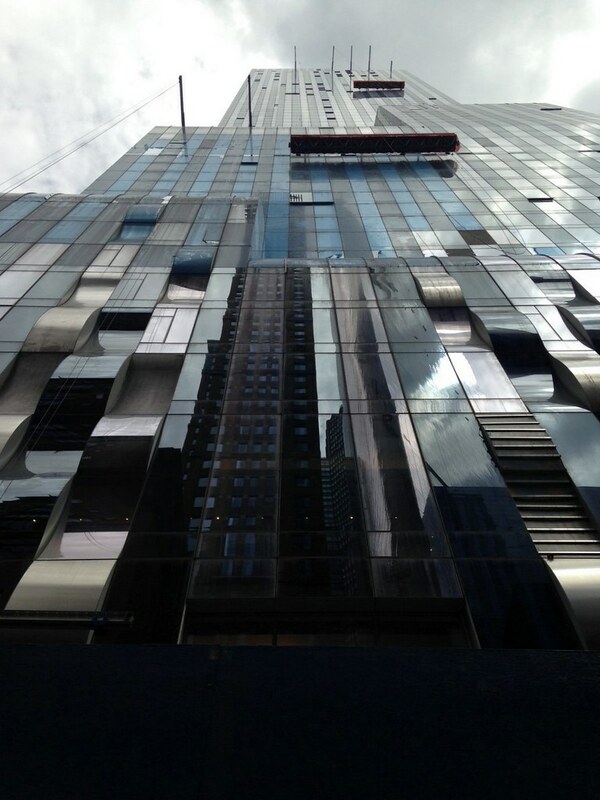 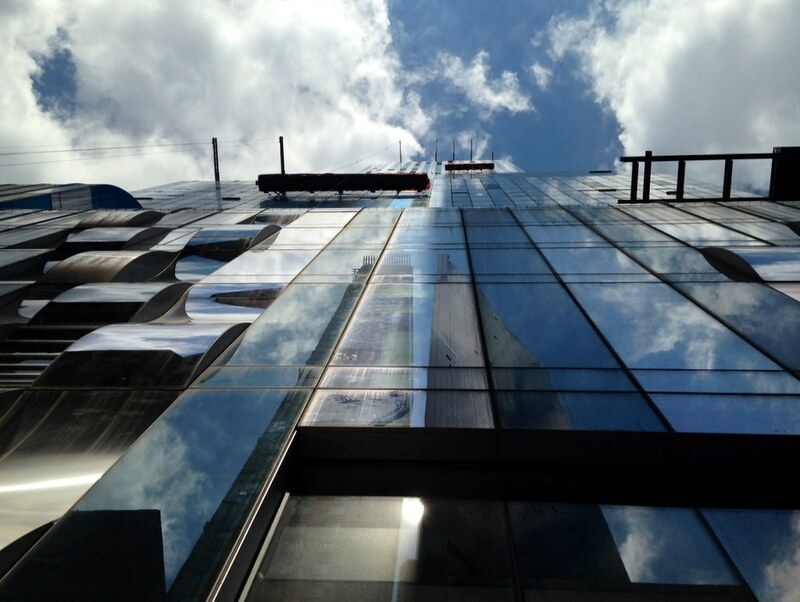 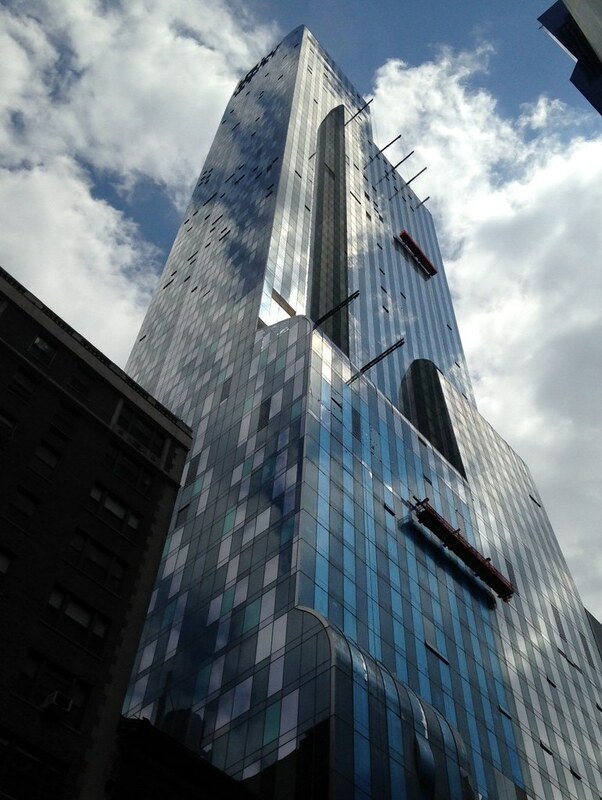 Due to schedule issues involving the turnover of this prominent supertall’s new BMU, GBL was tasked with this urgent request: Provide immediate access to the exterior of the southern façade’s greenhouse-style curved glass so that multiple trades can complete a variety of important tasks prior to the opening of the building. 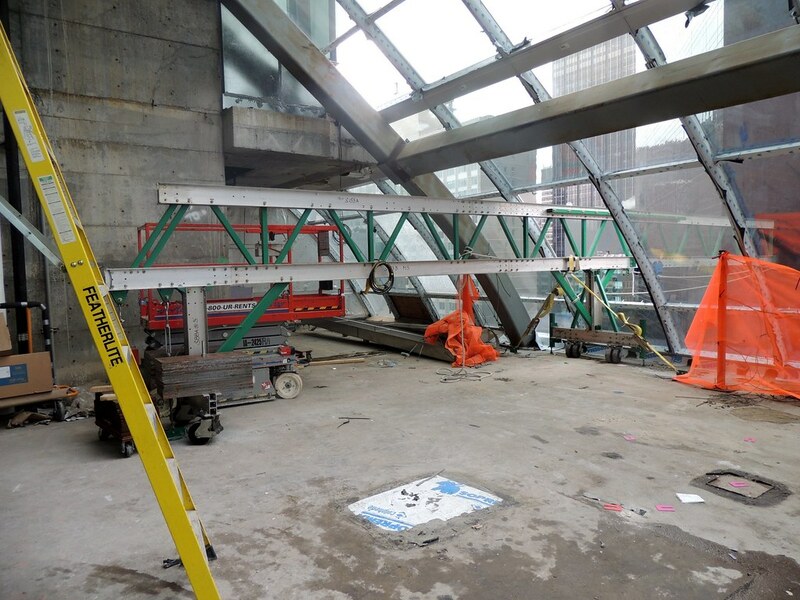 GBL worked closely with all trades involved, to finalize the scope and methods required to help meet this urgent deadline. 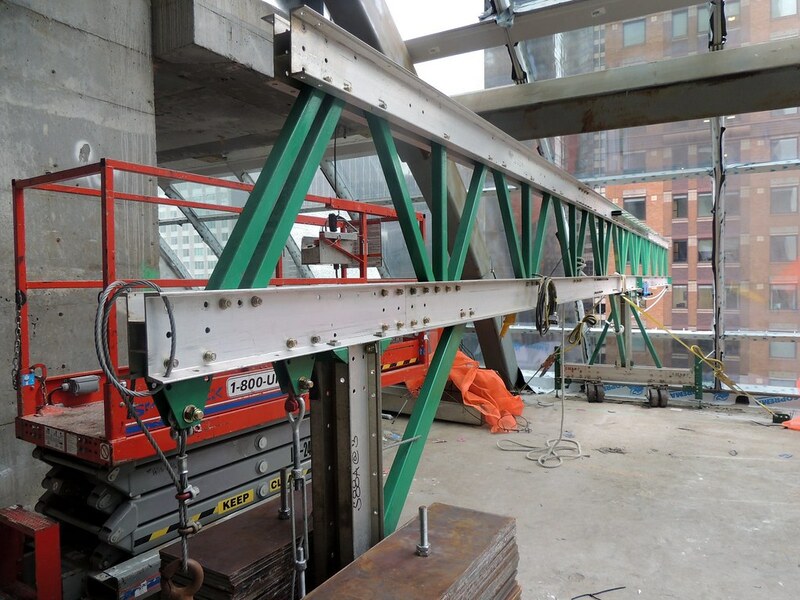 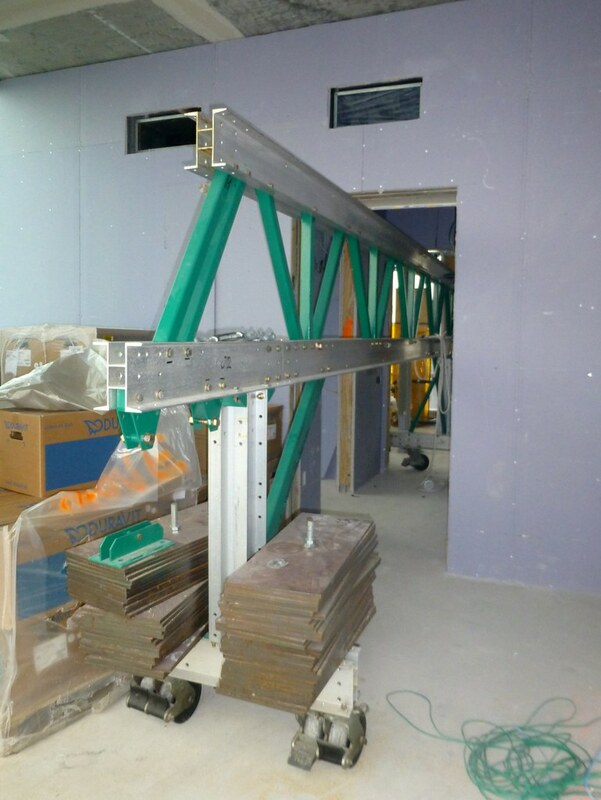 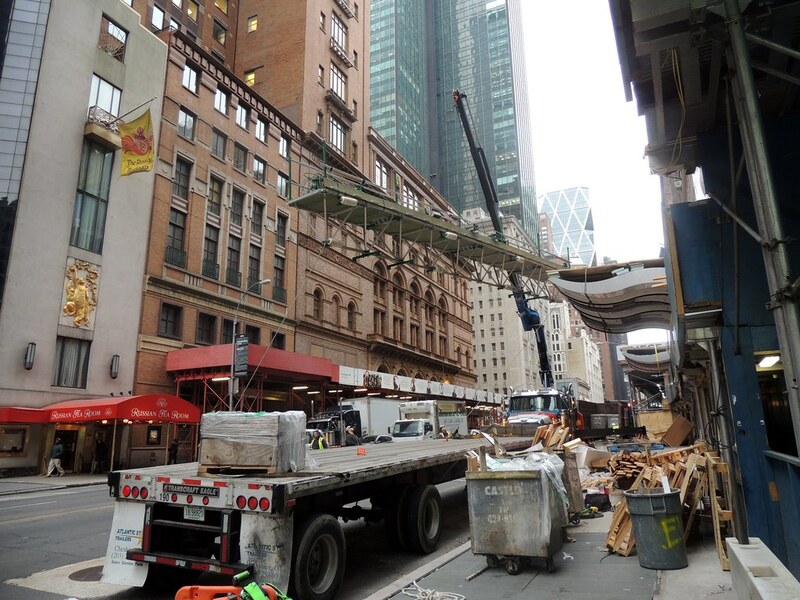 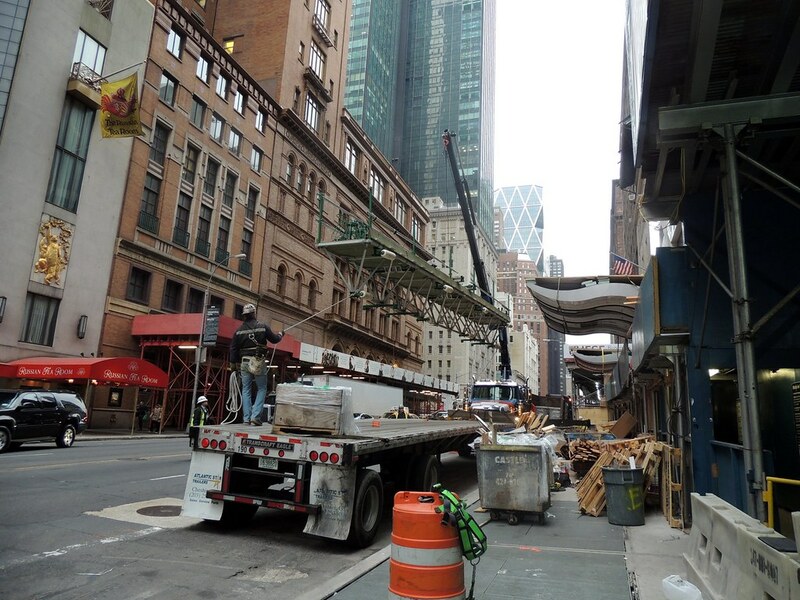 GBL provided multiple 4-foot wide Truss Frame Work Platforms, up to 44 feet in length, each including an integral ADT monorail designed to support up to 750 pounds in vacuum lifters and glass panels. 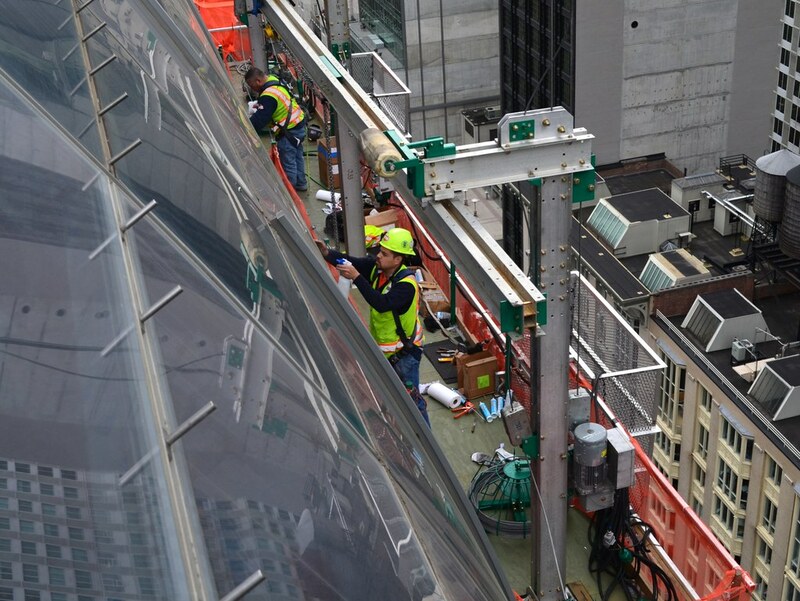 The platforms were delivered substantially assembled – the time savings gained being critical in helping to meet the deadline. 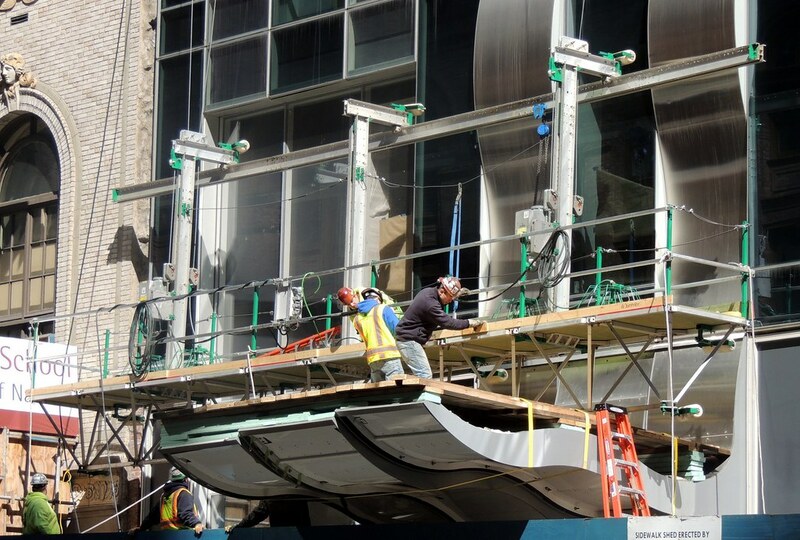 In order to provide close and efficient access to all parts of the curved glass, the platforms were designed with unique pivoting bumper rollers and fold-down platform extensions, and were able to traverse in and out on the outriggers as the platforms were raised or lowered. 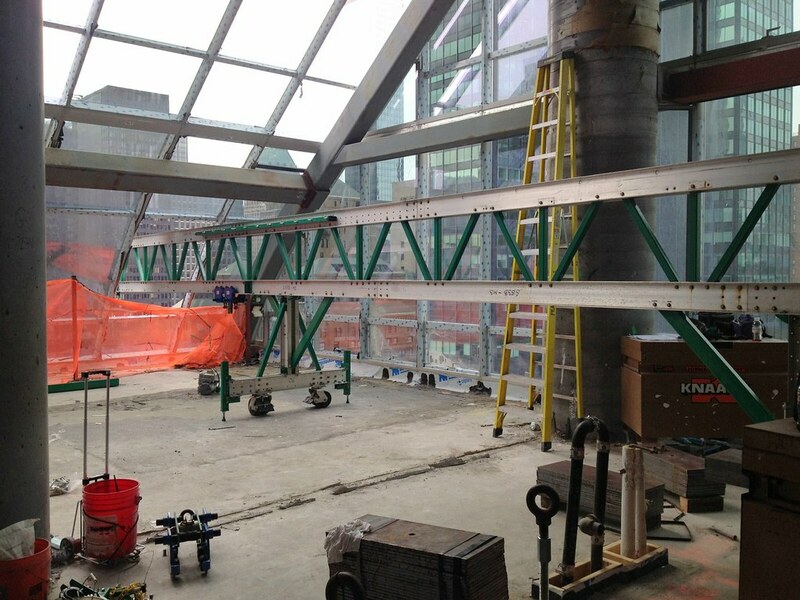 The platforms’ outrigger truss supports cantilevered 20 feet in order to reach beyond the limits of the curved glass, down to grade. 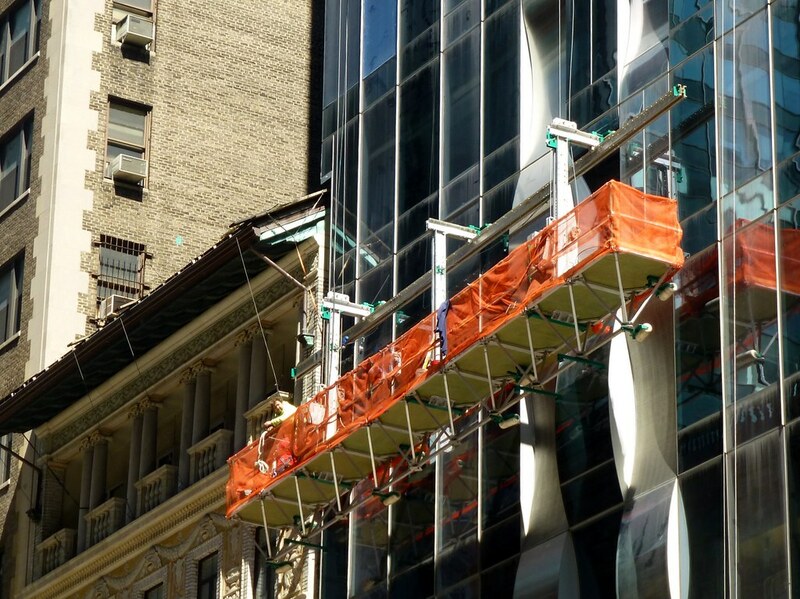 Built within the building envelope, the outriggers were then rolled out through selected openings in the curtainwall where lites of glass were temporarily removed to accommodate this unique, expedited project. 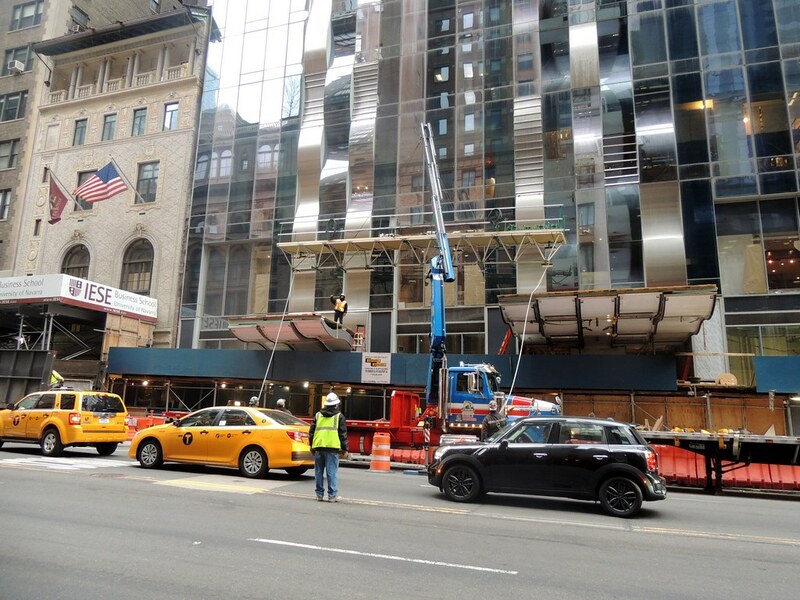 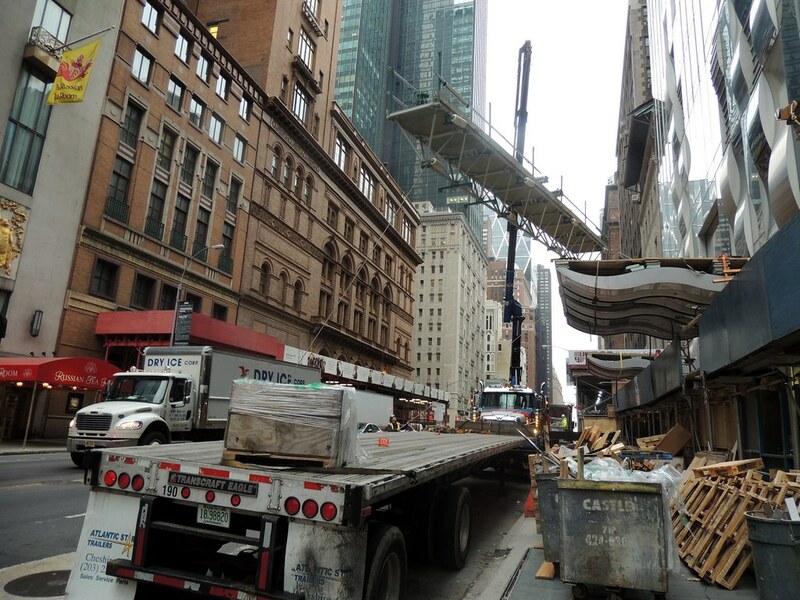 GBL provided a total of four extra-long Truss Frame Platforms, seven 40-foot long outrigger supports (plus two unique underslung outrigger beams), and a specialized 8-foot Wet Seal Platform suspended from a pivoting T-boom outrigger – all within a highly accelerated timeframe. 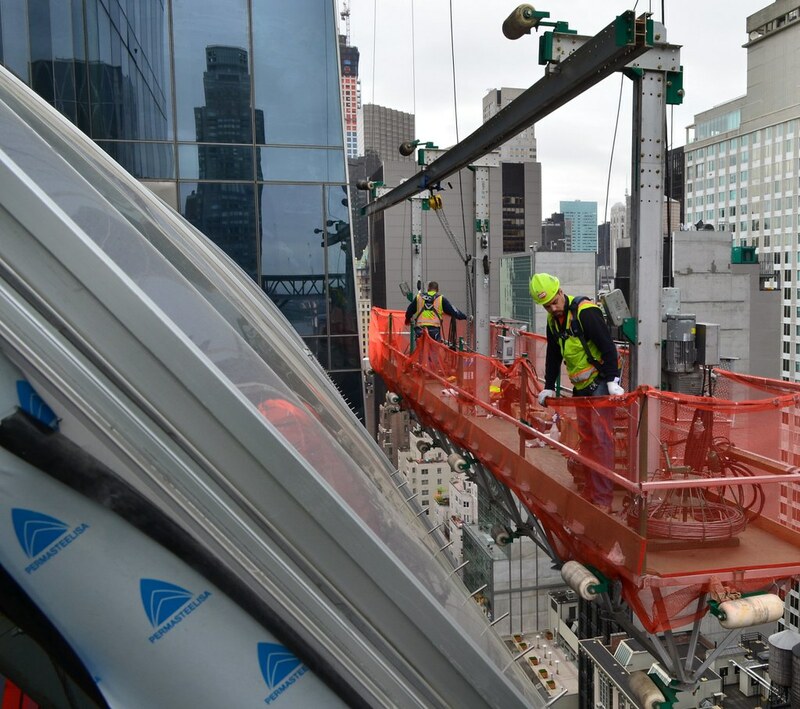 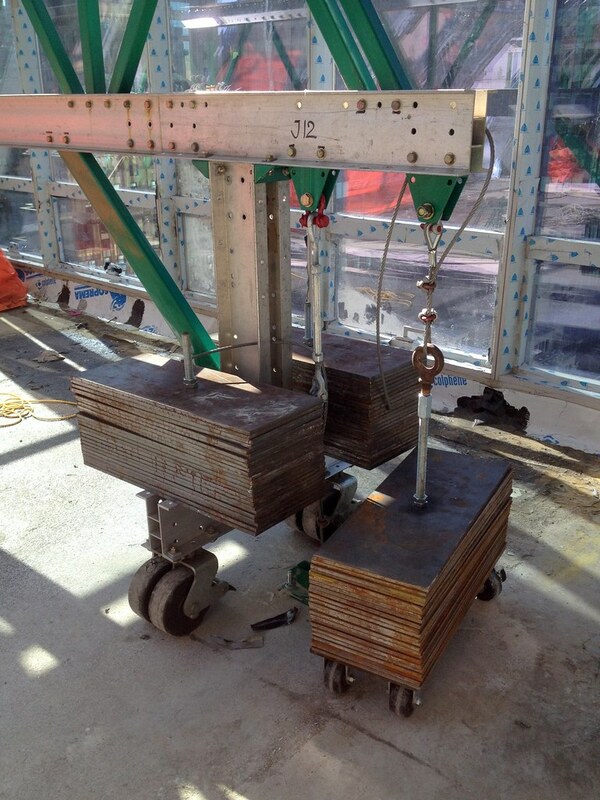 This equipment is being utilized by glaziers, iron workers, masons, and window washers to help them complete their specialized tasks as efficiently as possible.